There is a very powerful tool available to help you with these tasks and more. Before I tell you about it, I would like to set up a quick anecdote. The Problem: In a recent project, there were several programmatic tasks I needed to repeat on a regular basis. One task in particular involved updating user-level permissions based on evidence of membership-level purchase or subscription. If the company couldn’t find a payment from the user for a particular membership level, they wanted the membership level removed from the user. Why was this needed? Perhaps a member stopped a subscription, but an event did not fire, and so the member still has access even though they’re not paying for it (yikes!). Or perhaps someone was on a trial offer, but that offer expired and the client still has a subscription (also yikes!). The Solution: Instead of going into the admin panel and manually deleting hundreds (maybe thousands) of subscriptions, I opted to reach for one of my favorite WordPress tools, WP-CLI, which fixed the problem in a few keystrokes. In this post, I want to introduce you to WP-CLI (assuming you are not already close friends), walk you through a simple custom command I wrote for this particular situation, and give you some ideas and resources for using WP-CLI in your own development. wp plugin update --all updates all updateable plugins. wp db export exports a SQL dump of your database. wp media regenerate regenerates thumbnails for attachments (e.g., after you change sizing in your theme). wp checksum core verifies that WordPress core files have not been tampered with. wp search-replace searches for and replaces strings in the database. If you explore more commands here, you will see there are plenty of available commands for repetitive tasks every WordPress developer or site maintainer does on a daily or weekly basis. These commands have saved me countless hours of pointing, clicking, and waiting for page reloads over the course of the year. Are you convinced? Ready to get started? Great! You will need to have WP-CLI installed with your WordPress (or globally on your local machine). If you have not yet installed WP-CLI on your local development environment, installation instructions can be found on the website here. If you’re using Varying Vagrant Vagrants (VVV2), WP-CLI is included. Many hosting providers also have WP-CLI included on their platform. I will assume you have this successfully installed moving forward. We can easily extend our commands and subcommands all while keeping things modular. We can maintain functionality across themes and even other WordPress installs. * NOTE: THIS PLUGIN FILE WILL NOT WORK IN PRODUCTION AS IS AND IS ONLY FOR DEMONSTRATION PURPOSES! * You can of course take the code and repurpose it:-). There are two parts to these first several lines. First, we have the plugin header. This information is pulled into the WordPress Plugins admin page and allows us to register our plugin and activate it. Only the plugin name is required, but we should include the rest for anyone who might want to use this code (as well as our future selves!). Second, we want to check that WP-CLI is defined. That is, we are checking to see if the WP-CLI constant is present. If it is not, we want to bail and not run the plugin. If it is present, we are clear to run the rest of our code. In between these two sections, I’ve added a note that this code should not be used “as is” in production, since some of the functions are placeholders for real functions. If you change these placeholder functions to real, active functions, feel free to delete this note. It defines the class TOPTAL_WP_CLI_COMMANDS, which we can pass arguments into. It assigns the command toptal to the class, so we can run it from the command line. This means our command toptal is registered and our subcommand remove_user is working. total_warnings: We will tally a warning if the email does not exist, or if the email is not associated with the membership level we are removing. $total_users_removed: We want to tally the number of users removed in the process (see caveat below). $dry_suffix: If this is a dry run, we want to add wording to the final success notice. $emails_not_existing: Stores a list of emails that do not exist. $emails_without_level: Stores a list of emails that do not have the specified level. $dry_run: A boolean that stores whether the script is doing a dry run (true) or not (false). $level: An integer representing the level to check and possibly remove. With our variables set, we are ready to actually run the function. In true WordPress fashion, we will run a loop. Warning: The user [email protected] does not seem to exist. The email is then stored in the $emails_not_existing array for display later. Then we increment the total warning by one and continue through the loop to the next email. // Check membership level. This is a made up function, but you could write one or your membership plugin probably has one. Like most functions in this example, this function_to_check_membership_level() function is fabricated, but most membership plugins should have helper functions to get you this information. // Deactivate membership level. This is a made up function, but you could write one or your membership plugin probably has one. If the value of $has_level is “truthy,” meaning the user has access to the membership level, we want to run a function to remove that level. In this example, we will use the function_to_deactivate_membership_level() function to perform this action. However, before we actually remove the level from the user, we want to enclose that function in a conditional check to see if this is actually a dry-run. If it is, we do not want to remove anything, only report that we did. If it is not a dry-run, then we will go ahead and remove the level from the user, log our success message to the terminal, and continue looping through the emails. If, on the other hand, the value of $has_level is “falsey,” meaning the user does not have access to the membership level, we want to log a warning to the terminal, push the email to the $emails_without_level array, and continue looping through the emails. This $dry-suffix will be appended to the warnings and success notifications that we log next. "These are the emails to double check and make sure things are on the up and up:" . PHP_EOL . "Non-existent emails: " . $emails_not_existing . PHP_EOL . Note that we are using the WP_CLI::success and WP_CLI::warning helper methods. These are provided by WP-CLI for logging information to the console. You can easily log strings, which is what we do here, including our $total_users_removed, $total_warnings, and $dry_suffix variables. Finally, if we did accrue any warnings throughout the runtime of the script, we want to print that information to the console. After running a conditional check, we convert the $emails_not_existing and $emails_without_level array variables into string variables. We do this so we can print them to the console using the WP_CLI::warning helper method. * : Run the entire search/replace operation and show report, but don't save changes to the database. In the longdesc, we define what we expect our custom command to receive. The syntax for the shortdesc and longdesc is Markdown Extra. Under the ## OPTIONS section, we define the arguments we expect to receive. If an argument is required, we wrap it in < >, and if it is optional, we wrap it in [ ]. The ## EXAMPLES section includes an example of what the command could look like when being called. Our custom command is now complete. You can see the final gist here. It is important to review the work that we have done here to see how the code could be improved, expanded and refactored. There are many areas of improvement for this script. Here are some observations about improvements that could be made. Occasionally, I have found this script will not remove all the users it logs as “removed.” This is most likely due to the script running faster than the queries can execute. Your experience may vary, depending on the environment and setup in which the script is run. The quick way around this is to repeatedly run with the same inputs; it will eventually zero out and report that no users have been removed. The script could be improved to wait and validate that a user has been removed before logging the user as actually removed. This would slow down the execution of the script, but it would be more accurate, and you would only have to run it once. Similarly, if there were errors found like this, the script could throw errors to alert that a level had not been removed from a user. Another area to improve the script is to allow for multiple levels at a time to be removed from one email address. The script could auto-detect if there were one or more levels and one or more emails to remove. I was given CSV files by level, so I only needed to run one level at a time. We could also refactor some of the code to use ternary operators instead of the more verbose conditional checks we currently have. I have opted to make this easier to read for the sake of demonstration, but feel free to make the code your own. Finally, there are no checks to make sure we’re getting an integer for the $level variable or an email or comma-separated list of emails in the $emails variable. Currently, if someone were to include strings instead of integers, or user login names instead of emails, the script would not function (and throw no errors). Checks for integers and emails could be added. Update themes, plugins, and WP core without having to go into the admin panel. Export databases for backup or perform a quick SQL dump if I want to test a SQL query. Install new WordPress sites with dummy data or custom plugin suite setups. Write your own script to check, update, and maintain site hosts (which I wrote about here). When should you use WP-CLI? 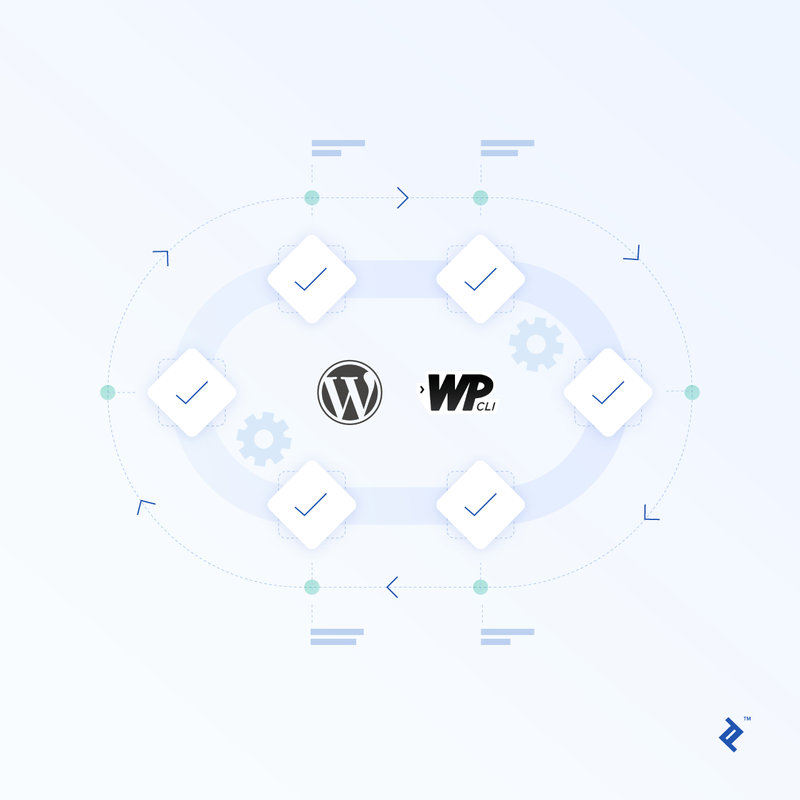 You should use WP-CLI to automate repetitive tasks you would do in wp-admin or in code, e.g., backups, migrations, setting up a new WordPress install, running checksums and updates on a site for maintenance, batch-creating new users, etc. WP-CLI is a command-line interface for WordPress that allows you to update plugins, themes, or core; backup or migrate databases; write custom scripts; and much more, all without using a web browser.